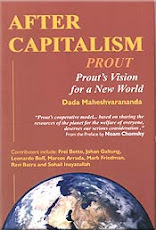 Prout - Alternative economic model for Capitalism and Communism: Shiva’s Impact on Human History – Marriage System 7000 Years Old? Shiva’s Impact on Human History – Marriage System 7000 Years Old? When the world is in great turmoil the Supreme Creator has no other option but to come to aid the suffering humanity. The first one to quide and manifest in human form was Shiva about 7000 years ago. In those days people had already noticed that behind psychic power there is another power which provides psychic strength. They had already invented simple, scattered tantric practise (spiritual practise), but Shiva gave it a systematic form, thus making tantra a spiritual science. Even at the present time practices taught by Shiva occupy the waking hours of nearly a fourth of the earth’s human population. Besides some of his fundamental systems like marriage are accepted by most of the humanity. Many people worship Shiva as a god, but fail to recognize him as an historical person. The civilization of those ancient days was quite different from our time. Each community used to live on a hill, a gotra in Sanskrit. A sage was the acknowledged leader of that community, just as the clan-mother had been in earlier matriarchal age. After the patriarchal system was established, the members of one gotra would forcibly carry women from other gotras, their hands bound in iron chains. Even to this day, many Indian women wear symbolic bangles on their wrists during wedding and red mark on their foreheads – a symbol of blood – hit by an axe. All this invariably led different clans into bloody conflicts. Shiva declared that those who found it impossible to accept the bondages of family life, should remain single celibate. Others would have to become disciplined family people by fully accepting their responsibilities. There was patriarchal system, but the matrilineal order was still in vogue, because it was easy to identify the mothers, but the male libertines would not know or take responsibility for their offspring, as a result of which many children died in early infancy. After children were weaned, they would forget their mothers also. My comment; It seems Atlanteans and Lemurians are not considered here as part of human civilization if they even existed before Shiva, or were they ET origin? They probably had their own kind of marriage systems and also influenced the Egyptians, but Shiva’s system of marriage has continued until today around the world. One may question is humanity returning at present time to the ‘stone age’ of single mothers struggling to maintain their kids alone, and kids not knowing their fathers? In order to practically unite the different races, Shiva married three wives – Parvatii, a fair-complexioned Aryan girl; Kalii, a dark-complexioned non-Aryan girl; and Gaunga, a yellow-complexioned Mongolian girl. Shiva also convinced people, ‘those of you who love me, should accept the benevolent rule of a code of discipline. You should proclaim to the world; henceforth we shall no longer remain divided into various gotras. Smashing all barriers, we shall all sit and eat together in the same compound, bound by the ties of one human family’. People declared; ‘we, the followers of Shiva belong to one gotra, Shivagotra’. Shiva’s greatest contribution to humanity is the concept of dharma (human characteristic); human beings want absolute peace. He taught people how to attain peace and evolve their minds with the help of mantra, asanas and pranayama in order to attain the Supreme Consciouness. This path is known as Shaeva Dharma (Shiva Dharma). Besides intuitional science, Shiva played also a crucial role in propelling human society on a forward path in education, medicine, social code, music, dance and phonetics. Born into a Mongolo-Aryan family, Shiva was a great master who as the result of his Tantric practises attained extraordinary powers, which he employed to help any undeveloped human society of those days. He propounded ‘self-realisation and service to humanity’. Shiva’s family meant whole universe. He was no doubt able to connect to spiritual aspirants around the world even intuitionally or in dreams. Important element in Tantra is the spiritual relationship of Guru and disciple – independent of distance. Many disciples of Shiva realized that although he was human in form, he was in fact none other than Supreme Consiousness. Towards the end of Shiva’s lifetime, even the Aryan communities considered him as a god. Vedas were influenced by tantra when finally written down about six thousand years ago. The first writings were in pictorial script developed in China, followed by Dravidian pictorial script in India. So as the scripts of Aryan Vedic language and indigenous Sanskrit were not yet invented during Shiva’s time, many things are forgotten or false interpretations made up. Shiva was whitish complexion, not bluish according common belief. He did’t live on top of Mount Kailas, but on lower planes and occasionally on hills of Himalayas. He travelled with yak, not ox. (During his visit to Switzerland in 1979, Shrii Shrii Anandamurti revealed that Shiva had travelled to the Alps on his yak, Nandi, and also to China and Siberia). Shiva used loose tiger skin and matted locks of hair. He carried trumpet and trident with his (only) two arms. The moon crescent is related to astrology during Shiva’s time. Ten-armed goddess Durga and four-armed Kalii of the Puranic Age, have nothing to do with Shiva. Shiva’s wife – Gaunga has no relation to river Gaunga. Before the Vedic Age different clans worshipped phallus as the symbol of their earnest desire to multiply – in almost all the countries of the world. After Shiva’s time phallus worship continued as a spiritual practise with Shiva-liunga in India, Asia, and Central America by Mayan civilization. After Shiva’s departure the Buddhist and Jain doctrines almost inundated the land of India, but Shaeva Dharma maintained its influence among the masses. Still after seven thousand years no one has forgotten him, neither the upper castes nor the so-called untouchables. Most of the followers of Shiva are still vegetarians as also Shiva was. Tantra yoga philosophy is mainly composed of Shiva’s answers to Parvatii’s questions – meant to educate the common people. When Parvati asks what is the minimum qualification for spiritual aspirant, Shiva answers; ‘the minimum qualification is that he or she must have a human body’, and ‘the only way to attain salvation is to acquire self-knowledge through proper practice.’ Ideation on Brahma, the creator, is the best – repetitious incantation and eulogistic prayer are the worst, and idol worship is the worst of the worst’. When Parvatii asked; ‘what qualifications spiritual aspirant should possess in order to succeed,’ Shiva answered; ‘firm determination, caring little for praise or condemnation, seeing others as yourself, control of the senses and balanced diet.’ He also mentioned that while angry the power of one’s thinking is impaired, which state disturbs one’s spiritual sadhana.’ Shiva was not also happy with liars; ‘where there is no satya (truth), there is no dharma, and the ‘ways of sin are always crooked’. Children do not tell lies unless taught otherwise. Even undeveloped people, animals and plants do not speak falsehoods. The so-called advanced people tell lies out of personal interest or habit. Human beings want expansion, but this is not possible by depriving others of their wealth. A controller is highly necessary in the physical sphere, because ‘those of animal nature seize the morsels of food from others’ mouths like mad dogs’. Shiva taught people that one who protects dharma for the welfare of others is protected oneself by dharma in material, subtle and causal sphere. Before Shiva people were half animal, half human, devoid of any social consciousness and mutual love. During Shiva’s time for the first time in history, people began to realize that they were human beings. 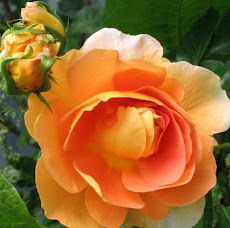 They built a sweet and loving environment, a social atmosphere of peace and happiness. Besides humans Shiva used to take care of animals and plants too – animals used to approach him without any fear. No other divinity than Shiva would even touch the shadows of the low castes. After Siva’s time the Aryans in order to prove that Shiva was Aryan hung a sacred thread on his left shoulder, while non-Aryan Shiva wore a snake around his neck. The vestiges of Shiva Tantra are still to be found in Bengal, especially in Kurmun Village in Burdwan District. So, as it is said; ‘when the world is in great turmoil Supreme Creator has no other option but to come and aid the suffering humanity’ – about 3500 years ago, when Shiva’s teachings were forgotten and human society became degenerated – another sublime entity, Shrii Krsna came. He became the supreme ideal politician of the world during the period of the Mahabharata. Krisna made people conscious in the social, economic and cultural spheres, and advanced society by providing inspiration with his divine flute. One would ask why all these three divine quides were born in India? India is very special country as even the first human culture spread from India, (Shrii Shrii Anandamurti, book, Rarh – The Cradle of Civilization) and spirituality has rooted and started spreading from there. (May be even ETs had something to do with that). Then it was more easy for these great masters like Shiva to spread their message to the whole world from there, also with the help of intuition. Besides we have to notice that those advanced souls in India have reincarnated later on around the world, and brought their spiritual realization with them. Source, the excerpts were taken from Shrii Shrii Anandamurti’s discources in 1967 to 1982, Namah Shiváya Shántáya. (Marks ” on quotes are ‘, due to my edit/short cut. Notes with pinkish purple colour are mine). Now why would Shrii Shrii Anandamurti be the only one to know these things? Nobody is able to convince you about it, you have to decide that by your mind, but let me just mention that he was intuitional beyond belief according those who met him. Didi Annapurna, if you post my article, put my name and link it here, thanks! AMURT ITALY NEEDS YOUR HELP IN NEED! Finland has the Best Schools – why is that?